Doral boasts a generous range of attractions for those who are smart enough to put the city in their itinerary when visiting Florida. Whether you’re planning for a golf vacation with friends or you want to bring the whole family for a holiday trip, there surely is something here for everybody to enjoy! The list is endless, but to help you prioritize on which attraction to checkout first, consider our favorite Doral activities below! Famous for being the home of PGA-level golf tournaments for a good few decades, Doral offers a world-renowned golf scene. The likes of Tiger Woods and Phil Mickelson are just some of the pro athletes spotted teeing-off on one of the city’s glamorous courses. Perfect for golf lovers is the 18-hole public golf course we offer at Costa del Sol Golf Club. We offer comprehensive services including equipment rental, golf lessons, fitting center, and restaurant. While you’re at it, why not introduce your kids to the sport that you love? Golf can be a great bonding experience for the whole family! This sport is also an amazing way to hone your children’s social skills and physical fitness. So start them young! Treat this as an opportunity to develop them into passionate athletes. We highly suggest checking out Pure Swings Golf Academy, a school specializing in teaching junior golf, specifically to kids ages 4 and up. Doral provides a couple and more activities not just for the golf enthusiasts. If you’re planning on bringing the whole family for a holiday vacation, you’re in for a serious treat! Start off your trip at some of the city’s beautiful parks. One of our favorites is Morgan Levy Park for its wonderful amenities such as soccer fields, tennis courts, and other sports venues. If you’re craving for more action, playing laser tag at Laserland & Adventure is also an awesome activity for both kids and kids at heart. And if your children has got a few more adrenaline to spare, consider bringing them to Sky Zone Trampoline, where they can just jump crazily and be their active selves all day long! 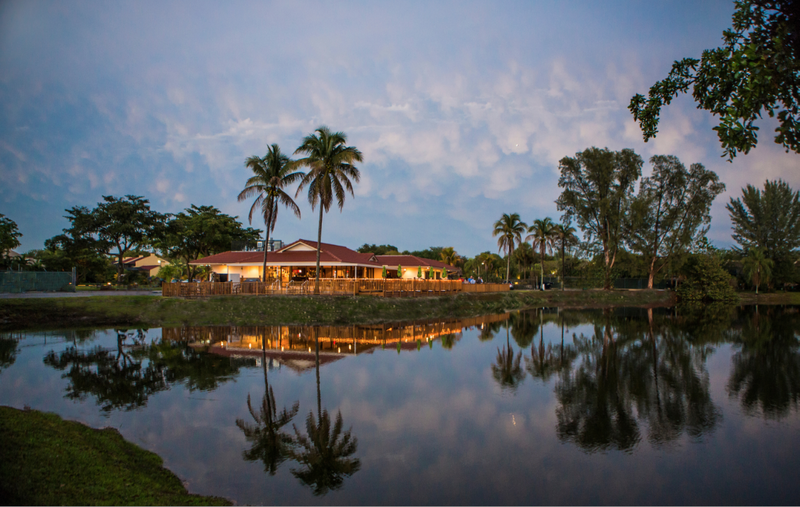 If you’re looking forward to a more mellow type of vacation, we have a few suggestions on how to spend your time here at Doral as well. Head to Miami International Mall if you’ve got a few spaces in your compartment to fill in. You can also treat yourself to a relaxing day at one of the spas here or load your tummy with happiness at the mall’s food court. Another great option is CityPlace Doral. Here, you can choose to watch the latest movie screenings at the cinema or listen to free live music while sipping your favorite drink at night. What better way to spend the last days of your vacation than by eating your heart out? Doral is home to tons of great restaurants offering an amazing menu. One of these is Lago del Sol, a lakeside fine dining restaurant inside Costa del Sol Golf Club. Devour on some great Italian food during lunch time or enjoy a cold glass of beer after your tee—it’s really up to your liking on how you want to enjoy your vacation! There you have it—five of our recommended things to do in Doral Florida! Which one are you checking out first?